The improvisational patchwork top was made by Rowan Edwards and myself from his grandfather's, Sunny Edward's western shirts. We met weekly for three-hour collaborative sessions in my studio until the top and back were complete. Click on the gallery to scroll through the full images. At the beginning of the Passage Quilting process Rowan and I discussed holding the simplicity of his grandfather's life, along with the paintings of Clyfford Still --one of Rowan's favorite visual artists-- as inspiration for the quilt. The raw materials we had to work with were Sunny's western shirts, which had lots of points in the collars, cuffs, pockets and backs --reminiscent of Still's jagged canvases. Once the top was complete, we had plenty of material left over so we pieced the back of the quilt from the back of Sunny's shirts. The backside of the quilt is reminiscent of the wide open ranch land in Texas where Sunny lived most of his days. 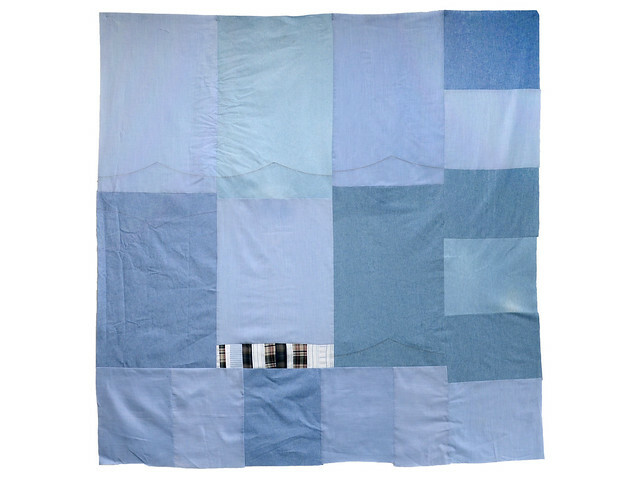 The improvisational patchwork process mirrors the re-orientation of bereavement. 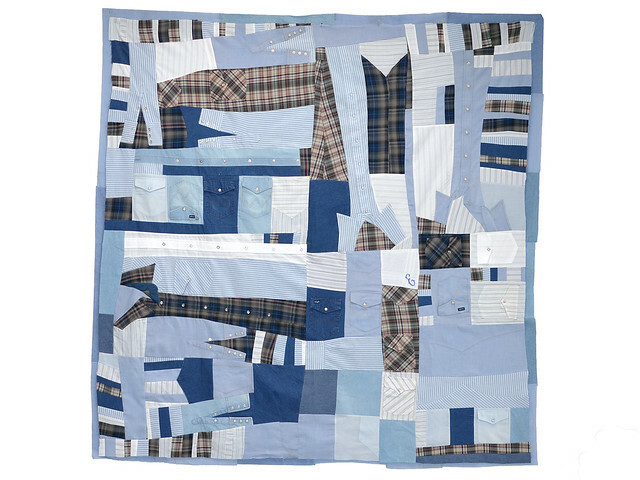 Piecing the quilt top without a predetermined pattern provides an opportunity to examine life patterns and discover new ways of relating to the living and the deceased. It's a process of trusting that transformation unfolds in its own time and way, and the outcome of loss is the blessing of new life.